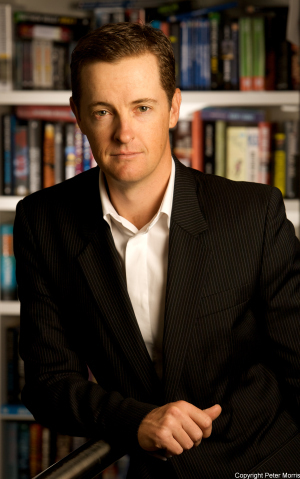 For the second year running, Matthew Reilly has been voted ‘Australia’s Favourite Author’ in Booktopia’s annual poll. Booktopia announced the top 10 finalists on its website on 6 February. They were (from one to 10): Matthew Reilly, Celeste Barber, Liane Moriarty, Tim Winton, Jane Harper, Anh Do, Mem Fox, Markus Zusak, Kate Morton and Monica McInerney. Reilly’s latest novel, The Three Secret Cities (Macmillan), was the fourth-bestselling fiction title in Australia over Christmas. For more information, click visit the Booktopia blog.